As we age, it’s critical to maintain balance, strength, and flexibility to support daily function and prevent injury. 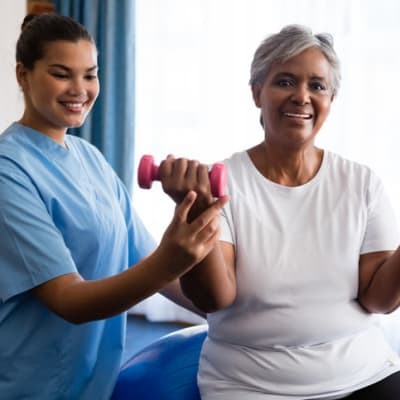 Included with your monthly rent is access to evidence-based, objective assessment tools and FOX Optimal Living program that offers comprehensive wellness screenings and classes to help maintain your health and independence. In addition, the FOX Optimal Living (FOL) program averages 160 minutes of moderate-intensity physical activity per week—helping promote overall wellness and with proven results among residents! 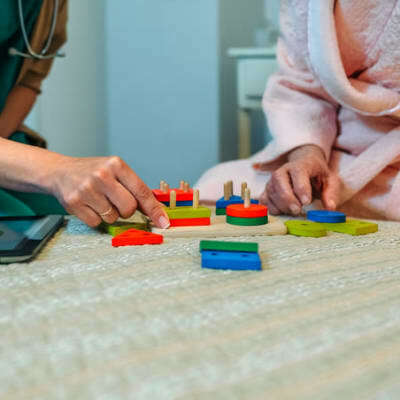 Specialized therapy services are also available to residents living with Parkinson’s disease or other movement disorders. 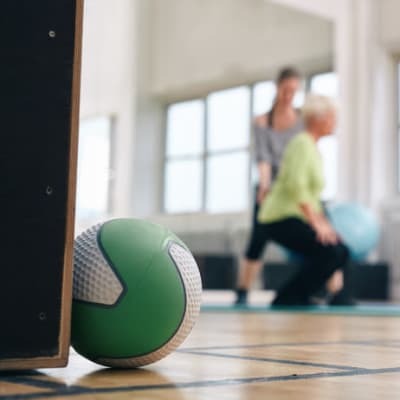 Through a regular regimen of exercise and a focus on prevention, the Optimal Living Program by Fox Rehabilitation improves strength, mobility and balance, which translates into fewer falls, fewer hospitalizations and a healthier overall lifestyle. Participants benefit from more than 150 minutes of therapeutic physical activity each week. Clinical experts create and carry out individualized wellness plans. Residents have the option of a one-on-one class, or a group class based on similar levels of fitness. 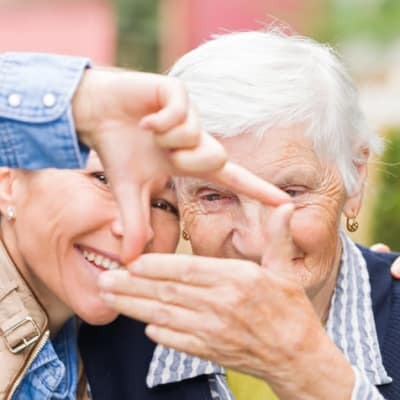 Optimal Living is part of our Memory Care neighborhood too! Because muscles don’t get dementia, residents in the Memory Care Neighborhood also participate. Sit to be Fit - Seated strength and aerobic exercises for intermediate and wheelchair residents. Walk & Roll - Walking program with both individual and group walking. Meditation – Practicing different techniques from guided imagery to breathing awareness to help reduce stress and increase overall well-being. What else do we get from FOX? 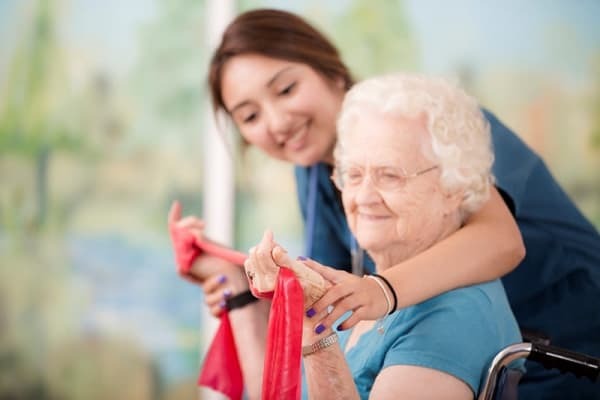 Other elements of the Fox Optimal Living Program include dementia education for community caregivers, continence programming offered to all residents, disease-specific wellness programs, customized cognitive exercise classes for residents with dementia, on-call physical therapists, dementia support groups for families and ergonomic analyses and wellness offerings for staff. These benefits are offered with no additional cost to the residents or their families. Your loved one will benefit from specialized care based on their individual needs. 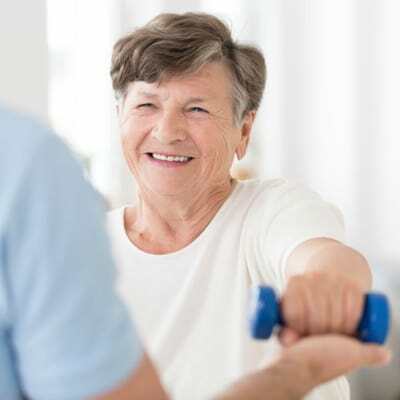 We target specific health issues in order to create a higher quality of living for your loved one, focusing on both physical and emotional wellbeing. Call to Join Us for an Exercise Class!